I’m very excited to share the eighth episode of the Woolful podcast. Today’s episode is a little different. 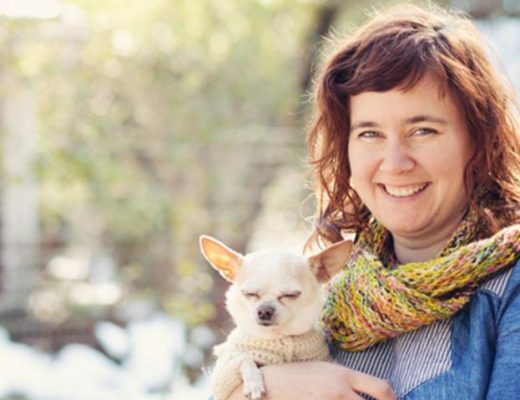 As I’ve gotten to know today’s guest, Ioana van Deurzen of Moeke Yarns, and spent time hearing her incredible fiber journey, how it shaped her childhood and ultimately her life as an adult, I felt this story deserved it’s own space…it’s own episode. 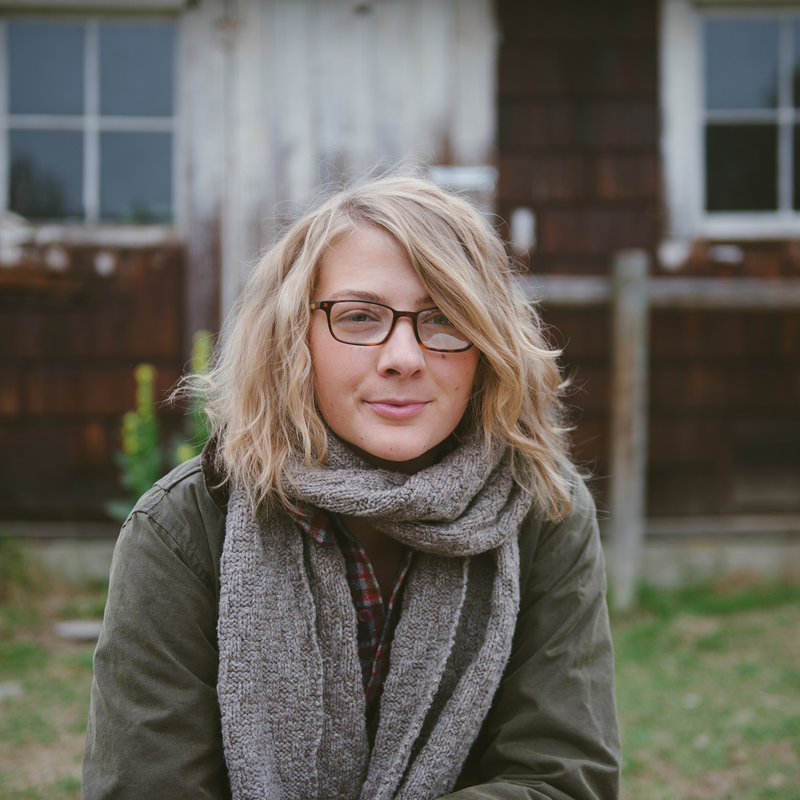 Fiber folk 1: Ioana van Deurzen is an amazing woman, as you’ll soon learn. 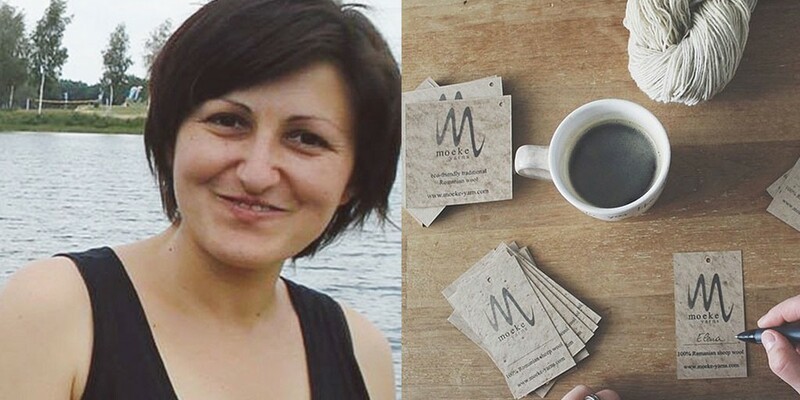 A little over a year ago she embarked on a journey with her brother and parents to create the yarn company Moeke Yarns, to bring something back to her community that had been lost and honor her grandmother, Elena. You can find Ioana at moeke-yarns.com and on Instagram @moekeyarns. Giveaway: The winner of last week’s giveaway, is @kelseyleftwich. You’ve won the Paffuto hat pattern by Michele Wang and a skein of Quince and Co Puffin. Congratulations! This week we wanted to give away some of the very special Romanian yarn, our guest Ioana has created, Moeke Yarns. 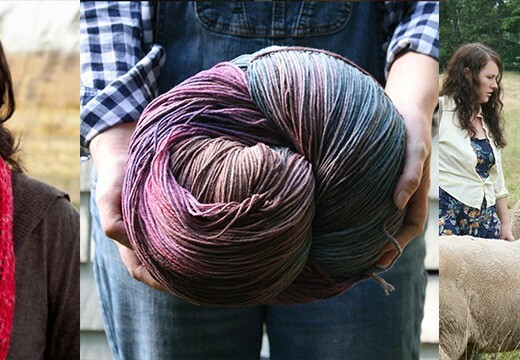 We’re giving away a skein of each the Elena and Stela yarns. To enter this giveaway, leave a comment below. Designer. Knitter. Lover & Mother. Living and dreaming in Idaho. Just became aware of your fabulous podcasts and as a former merino shepherdess from vermont am thankful for the enrichment you are promoting within this community. I too just learned about your podcast. I was skeptical about podcasts in general but you got me hooked! And then to top it off fringe supply co is my favorite!!!!! Keep up the wonderful, earthy, centered and peaceful podcast!!!!! Can’t wait to knit and listen, thank you! Would love to try this yarn! Thank,you! I would love to try knitting with this yarn. Thanks for bringing us the story. Can’t wait to listen! I love Moekeyarns!! Thanks for all you do. can’t wait to sit down and enjoy another woolful podcast! thanks for bringing these to us! Looking forward to listening to this episode! Thanks for the giveaway. Just finished EP 7, and these pics give a nice taste of the next one. Love this podcast and the immersion into these fiber workers’ lives. I’d love to win these skeins! Yum! I am intrigued by your description of this yarn. It looks a lot like the yarn I spin from my Cheviot and would love to compare. Thanks for your podcast! Ashley, I was noticing that the Moeke yarns are single ply. You talk about using them for socks. Single ply does not usually hold up for the wear in socks. Is it the characteristics (durability) of the wool that makes you want to use them for socks? Just curious. This yarn is beautiful! What a great story! Oh, this looks lovely. Thank you for the chance to win. There is nothing better than sitting down somewhere cozy in the winter with a cup of warm, a great podcast, and a wooly smelling yarn on the needles. Looking forward to listening! I just love your podcasts. It is wonderful hearing about your adventures and the adventures of your guests. Hi Ashley, I enjoyed hearing Ioana’s story and thinking about her grandmother, Elena. Two of my great grandmothers came from Eastern Europe/Russia and I have been searching for information and yarns from over there for some time now. It is amazing how crafts like knitting can help us connect with our loved ones through time and space. Hoorah! A new Wooful podcast! It’s going to be a good day. The highlight of the week is upon us! Thanks again for your amazing podcast. Looking forward to cozying up with my knitting by the fire while listening to your podcast tonight. I love your podcast – it sparks my creativity every time I listen, and as I knit while I listen, I find myself appreciating each stitch even more than I did before. Thank you for sharing! Great podcast and beautiful yarn! Thanks again for all your hard work! I loved this episode! So glad I started to listen to this podcast. Just spent the last two days listening to your podcasts, love what you’re trying to do and I think it’s great. You’re doing a great job, and I’ll be listening to your podcasts from now on. Love all the stories I’ve heard so far from the people you’ve interviewed. Found a great new way to get my oven cleaned post-holiday baking. 1. Drink two cups of tea. 2. Check for new podcasts and happily discover a new Woolful episode. 3. Start the podcast, grab the baking soda & sponge and start scrubbing. When the episode ended I was rewarded with a sparklingly clean oven and a happy heart from listening to this terrific episode. This was such a wonderful episode. Listenning to Ioana’s story has been so inspiring and humbling. Thank you ladies! 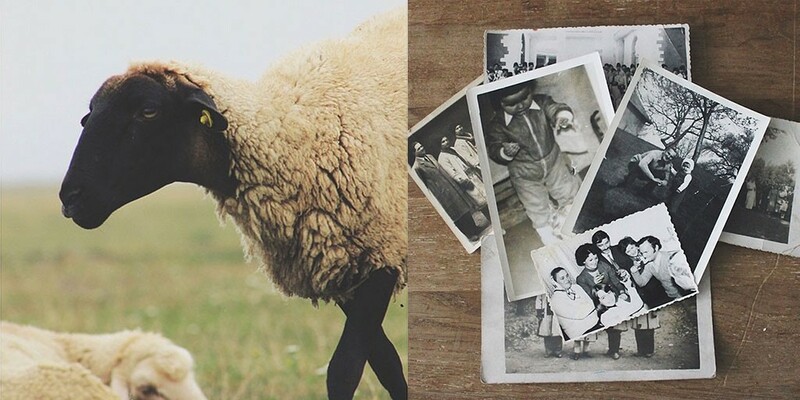 Thank you for sharing this amazing story about Ioanna and her grandmother’s legacy. This inspires me to explore my cultural heritage more. I can’t wait to listen to this episode today! This yarn look great! I love listening to all of your podcasts, but this one was especially wonderful! Ioana has such a rich history in fiber, and she is willing to share that with future generations, as her grandmother did with her. My Swedish grandmother taught me to knit when I was a young girl, and now even my 4-year-old grandson wants to knit! You will love this: he had a ball of kitchen twine and told me that it was yarn that he had spun at his own mill. I didn’t know that he knew that yarn was spun at a mill, but we talked about it, and he has the right idea. (Maybe this came from reading Woolbur to him over and over again!) My daughter took him to a grist mill yesterday, so he knows a bit more about mills, but sadly, there are no woolen mills nearby. If I don’t win the yarn, I will purchase some, because your description was just too wonderful! Keep up the great work with your podcasts, and your dream. You are an inspiration! What a wonderful story. The yarn looks really yummy. I will definitely check it out in your store. Thanks for the opportunity to win the skeins. Love the wool, and your podcasts! Looking forward to listening to this podcast still playing catch up on the others. Thank you so much for another delightful podcast! I feel I am spending my hour listening to an educational seminar while I knit, and I guess I am! I learn so much from your in depth interviews with all these interesting fiber enthusiasts. Please accept my gratitude for you labor of love! A peaceful evening ahead, knitting and episode 8. Finding your fascinating podcast has opened new doors. Thank you for introducing me to a whole new community. All the best for you. Just listened to episode 7 last night, and as always, looking forward to the next. Oh this is so wonderful!! And that lovely yarn!! This story is wonderful, and it’s driving me to search for locally-raised, heritage-inspired fiber folk near me. I have a weakness for coarser, natural, “sheepy” wool, just like you and Ioana. Locally bred, spun and processed. I’m so over merino and super wash. I have made the decision not to buy yarn in 2015 but use my stash instead, but this podcast made me itch for the Romanian wool! Winning is not buying…right? Anyway THANK YOU for making these podcasts. You are such an inspiration. What a beautiful story. I love listening to your podcasts, it is so wonderful to hear so many different journeys through the fiber industry. I am excited to listen to this week’s podcast, knit, and drink a cup of tea this evening. For the first time I have started to look forward to Tuesdays! What a lovely story! Thank you for bringing it to us. It was a pleasure to listening to the interview! 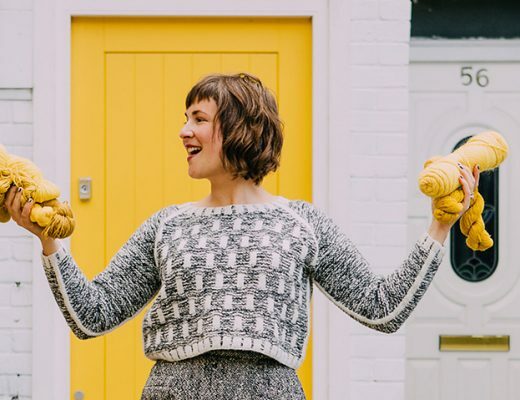 Ioana’s story of searching for passion and interest in her everyday work that led to this incredible journey is such an inspiration for someone like me – in my mid-twenties trying to find my sea legs. It’s great to hear how people discover their passions! Can’t wait to listen, thanks for the chance to win! Oh, I’d love to try Ioana’s wool! Thanks for the giveaway and for your lovely podcast. I love hearing where the yarn I knit with comes from, and I am in such admiration of the people who make it happen! Thank you for sharing. I love a rustic traditional yarn! This sounds lovely… thanks for the chance to win. Oh my, what luscious looking yarn! I’ve been catching up on episodes each evening after work – listening for a bit and knitting a few rows on my Nordic Wind shawl. Something I would be very interested in is hearing reccomended books/magazines/blogs for patterns, resources, and memoirs! 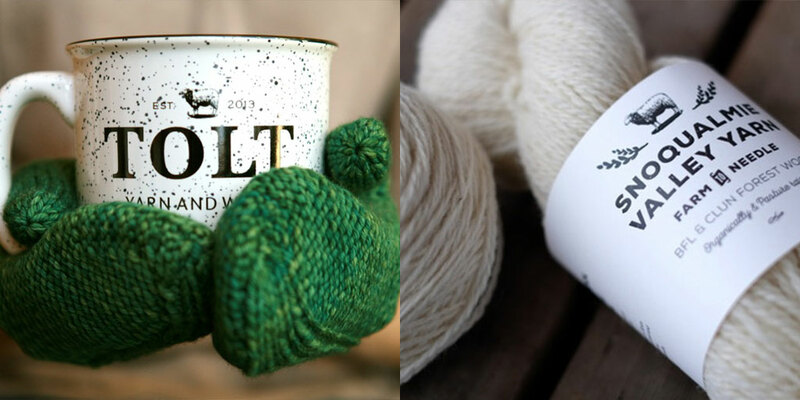 This yarn and the history behind it looks lovely. I’m listening to the podcast right now! Her yarns look wonderful! I would love to try it! As always, I love this podcast. It is the perfect thing to listen to, relax, but always keep me engaged and interested. So many amazing and inspiring stories. Thank you! this was a great end to a good day. feeling very inspired to really take on knitting again. and this was one of the more emotional episodes of woolful. so heartwarming. thank you! This lovely yarn would be the most exciting prize! I would love to knit a sweet dishcloth or soap cover out of it. I can’t tell you how much I enjoy listening to each and every one of your podcasts. I’m a Canadian whose husband moves her around this big world every couple of years and now I live in Dubai. Sadly the knitting Goddesses have placed me in a city without a yarn shop but I so look forward to listening and hearing about all the beautiful fiber that’s out there. I love learning about new artisan yarns on your podcast. Keep ’em coming! Each Tuesday I set aside time to knit and listen before I go to work. Each week another beautiful and inspiring story. Thank you! I love a yarn with history, with soul….I feel it’s what we strive to knit into each of our garments and gifts. Beginning the process with a bit of those qualities in place is somehow truly organic! Those yarns look wonderful. I’m thinking that, if the prize yarns are undyed (like her yarn available in your shop), this might be a great opportunity to try my hand at hand-dyeing with natural colors. Nice yarn! Quality of the recording was really challenging to hear. But, what I did hear was very interesting. I’d love to knit a pair of socks with this yarn. Maybe, dye it with mushrooms… My natural dye of choice this winter. What an amazing journey Ioana and her family undertook. Thank you for sharing the story. I am enjoying your podcast greatly. And thank you for the opportunity to try out Ioana’s yarn. Wow, these yarns are gorgeous. Thank you for sharing this wonderful story, Ioana. I hope I’ll be able to try some of your yarns in the near future! Lovely yarn and yet another wonderful podcast! I have a couple of links that this podcast and Ioana’s story brought to mind. First is the story of the Cowichan sweater, which also involves a group of people who revived and modernized a nearly dead wool tradition. 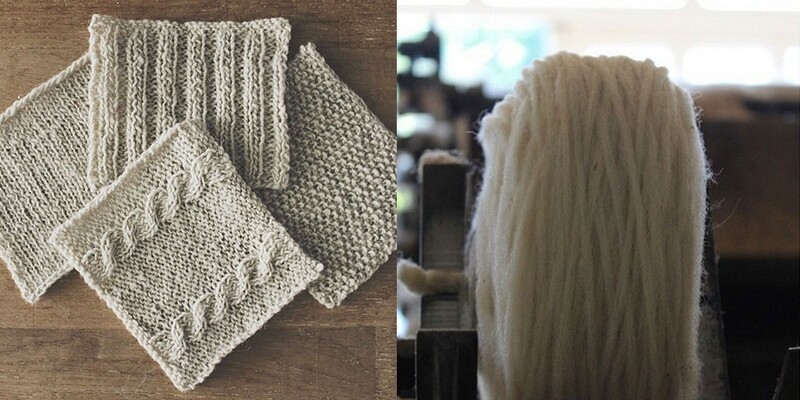 The second is the story of a small wool mill in Maine. And, oh, please enter me in the drawing. Thank you for this episode! 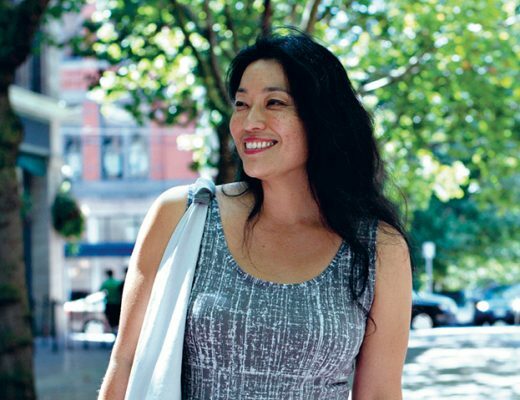 It is awesome that you support people who do these wonderful things like Moeke Yarns does. My boyfriend and his family are second generation Romanian American immigrants and I told him about this episode. He wants me to knit his dad a special pair of socks from this yarn. Thank you so much for bringing it to your shop as I can actually make this gift come to life! I love your podcasts and I love to sit and knit to them. I’m always tempted to stay up and knit when you post them (usually midnight for me). I’m looking forward to your next one! What a wonderful story! It was a nice break from my college essay. 🙂 And they yearn looks absolutely marvelous! Didn’t mean to send that comment yet. Oops! Anyway, I was going to add that it was a great idea to have her story in her own episode. It really made it special. 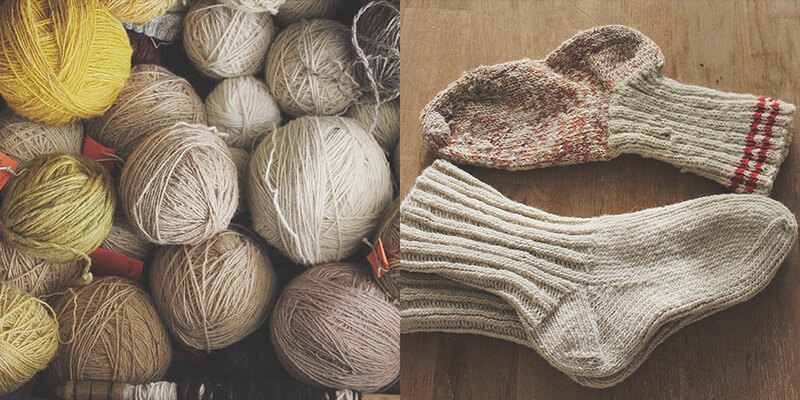 I just discovered this website with Instagram and would love to try it and knit socks with. I really loved this episode, Ashley! Thank you! Those sheep are so cute! I get so excited when it’s time for a Woolful podcast! This was amazing! LOVE this podcast and hope to try out this yarn soon! Love this podcast. Exactly what I needed to start my year off right. I am loving this fiber community! So many inspiring stories! This episode will be a repeat at least once, probably twice. I feel that I need to look up the geography and history and cultural aspects so that I can really understand Ioana’s story, so that’s what I’ll do. As ever, amazing content. I love the stories and the beautiful yarns you are exposing us to. I look forward to your podcast each week. Thank you! This was such a special episode! I think the men and women of our time are in search of their background and ancestors. If you listen they will speak to you! My father’s ancestors were from Kentucky region of Appalachia. Everything was made, it wasn’t a hobby it was necessity. I have been lucky enough to inherit several of my great granmother’s quilts, and one from my great great! Also a wooden butter spoon that is lovingly hung in my kitchen and a small basket that my great granmother carried her lunch in to school. I believe they call me and are happy knowing that I carry and enstill their crafts to my own family. Ionna’s grandmother and her community is probably guiding her through her adventure! I love that she has a pattern made from her grandmother’s sock, how special! What a great company and legacy to support thank you for making us aware! This podcast is just wonderful! I look forward to it every week! Thank you so much for bringing this community closer together. Great interview, and the yarn sounds amazing! A wonderful podcast. I am a new listener and so thankful for what was shared on this latest episode. Fantastic story. If I don’t win the giveaway from Moeke, I will certainly have to buy some. Incredible story. I spun on my drop spindle as I listened to the episode in several segments this week. I can’t wait to listen to this episode! 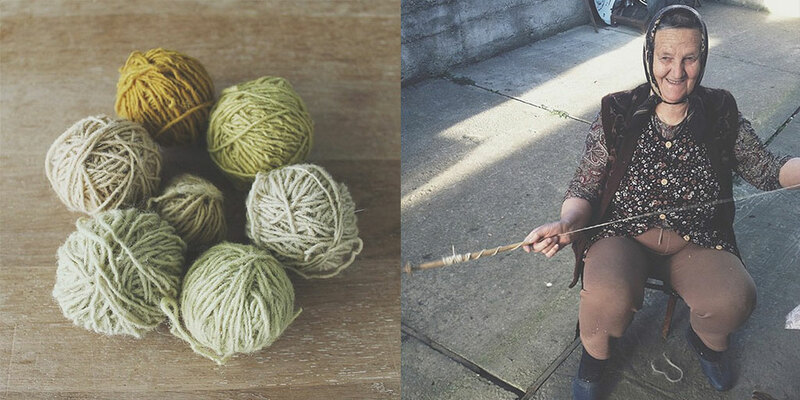 I just tried my hand at natural dyeing last week and it was such fun. I can’t wait to do it again!! I love this episode! Thank you! I would like to try this brand of yarn. I love the podcast, it quickly became one of my favorites! This Podcast was such a delight. To listen about how fiber truly shaped Ioana’s life was wonderful to listen to. Thank you for what you do and how you share your passion with others You truly have inspired me with your podcasts and I look forward to them every week. I just recently found your beautiful website and am looking forward to listening to your podcasts. I would love the opportunity to win this gorgeous yarn. I just discovered you podcast and I absolutely love it! This was such an emotional and inspirational podcast. Thank you! Great story and beautiful yarn! Lovely yarn! Here I am dreaming of socks. I listen to your wonderful interviews and stories while commuting for 2 hours each day to my uninspiring, corporate job. I love the holistic simplicity and authenticity you stand for! Thank you. Like you Ms. Ashley, I am in love with Ioana & Moeke’s evolution & journey & expect to be as smitten by her yarn after I experience it. I’ve listened to this particular podcast twice today & am completely inspired by Ioana’s verbal offerings. Thank you for sharing her through your podcast & devoting the entire show to her story. I just found out about your podcast a few weeks ago (via the Fringe Association blog), promptly listened to the first 5 episodes and now I eagerly await Tuesday mornings to hear your next one. Thank you so much for sharing your passion and insights with all of us! I am really enjoying listening to your podcasts, which is all new to me (the podcast thing). I always love hearing peoples craft journeys especially when they are filled with such passion. Looking forward many more in the future. always a joy to listen to this podcast. thank you! lovely to hear ioana’s story, what an inspiration! Lovely history and beautiful yarn! Best wishes! Just found your podcasts via a knitting friend. Looking forward to listening, and maybe some new wool! Loved every second of this week’s podcast…and most of all her story and journey to preserve the legacy and history of her ancestors/community. ….all with the focus on sustainability and honoring the old hands on methods. Struck a nerve with me (as it clearly did with you :))…so thank you for sharing with us!!! Beautiful yarn. It captures ones soul. Ashley- thank you for helping us get to know more about wool, wool folk and the industry as a whole. So fascinating… and I loved Ioana’s story! I am so looking forward to listening to this episode, that I’m waiting for the kids to go back to school 🙂 so that I can listen in peace and quiet. Your podcast has made me think about yarn and fiber in a whole new way. It really is about the blood, sweat and tears. And about love! Ashley, I have enjoyed each and every Woolful podcast thus far. But Episode 8 has brought me to tears…in a good way! 😉 Listening to Ioana’s story…her love of family, community and yarn had me completely enthralled…I was actually sad to have it end. I wish Ioana much success and look forward to watching the growth of Moeke Yarns. As a hand spinner I was deeply moved by this podcast. I think it’s my favorite yet! What a wonderful blessing to have the opportunity to knit with this yarn! What a wonderful story! I especially enjoyed hearing about how Ionna was able to involve her family in the creation of Moeke yarns. Your podcast has made me think about yarn and fiber in a whole new way. And this episode was amazing. It’s so true what you say about sweat, blood and tears. I think all important things have something to do with gard work. And love! Marathon podcast listening. Really enjoying yours. So much better than hearing about endless FOs, WIPs and stash enhancement. Love learning about the background of your guests. Great job! I also grew up in a post-communism country and I feel so related to Ioana and her beautiful story about her childhood. It made me really emotional. Thank you so much for this wonderful interview! 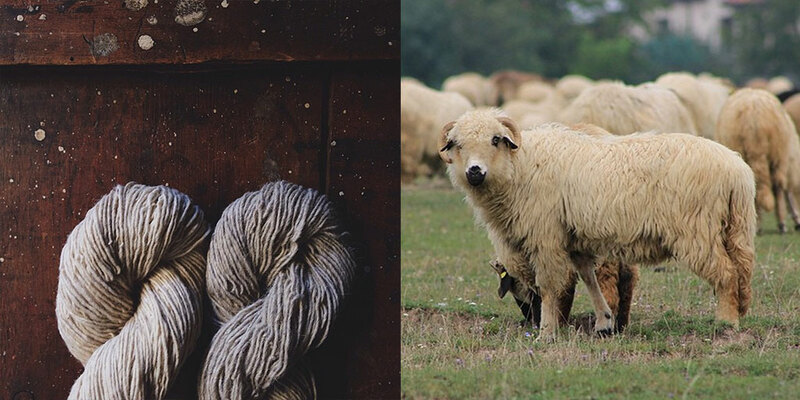 The sheepy smell of the wool – probably my favorite thing about natural fibers, especially wool. I hope I get a chance to hold and smell them soon! How inspiring was that, you can almost feel the journey of the yarn, and of Ioana’s journey, i absorbed every bit of it as i am knitting socks with soft merino yarn. My daughter texted me from the west coast of the country to me here in Ottawa Canada and I will be forwarding it to a friend in the Netherlands, let us see how far the story goes, thank you for this podcast, absolutely inspiring, knitting on! I hope I can find Moeke yarn in Canada! Love your podcast. This yarn looks wonderful! Thanks so much for providing great content. I was really looking forward to listening to this episode, as both my paternal grandparents were born in small villages in what is now western Romanian. I would love the privilege of working with a yarn that comes from a region of the world in which my ancestors once lived. Thanks again for another inspirational interview! I have been enjoying your podcasts so much and this episode was truly inspiring . In my top 3 so far! Looking forward to making a top 20 list of Woolful episodes. Thank you for what you do and the stories you share. Great episode. I listened to it as I organized my yarn closet? I love the concept of mindful dressing . I adore wearing special handmade or vintage clothing and thinking about where they came from and the materials used and then accessorizing then with gifts made by dear friends . Thank you for these wonderful podcasts. This was my first episode of Woolful and now I’m hooked! Thank you for an excellent and thoughtful podcast to add to my daily walks. I just discovered your blog. I love the story and it is one I well understand for I am Romanian myself. Thank you. I’m glad I found this podcast. I enjoyed listening to Karen Templar’s journey, and thinking about creating my own clothing. It seems like an unattainable challenge, but what a great commitment and process to undertake. Ioana’s story touched me very deeply. I recently learned that my grandfather’s parents were Romanian. After many years of mystery (name changes, secrets about religion…) surrounding the story of their emigration, my grandfather just casually mentioned it one day. I still really know next to nothing about their lives there or why they came to America, so hearing Ioana’s perspective really hit home for me. My only previous encounter with Romanian culture was the research I did when I designed costumes for a production of Caryl Churchill’s “Mad Forest” when I was in college. I had no idea I was studying my own heritage! I’m so interested in learning more about Romanian sleep and fiber culture. Thank you for introducing me to Moeke and Ioana, I’m very much looking forward to following her journey! Thank you for another inspiring podcast. I hope there is a transcription of this one just in case I missed anything! Thanks again. Rustic yarn, from an enchanted land, wants on my needles soon! A wonderful journey, wool is wonderful, thanks for this lovely podcast. I just listened to this…beautiful story! I had a skein of Moeke Elena in my hand while listening, so great to make the connections with the makers. And Jones’s music in the background…heaven! Recieved your item prior to the day given in a very great gift container . Your image that is displayed for the bracelet are exactly what you certainly will recieve. This really is very fine but any awesome piece regarding precious jewelry which will endure due iof on toggle clasp and is most solid so that the bracelet eill maybe not come off. Designer. Knitter. Farmer. Lover & Mother. Editor of Making magazine. Building a farm and family in Idaho.